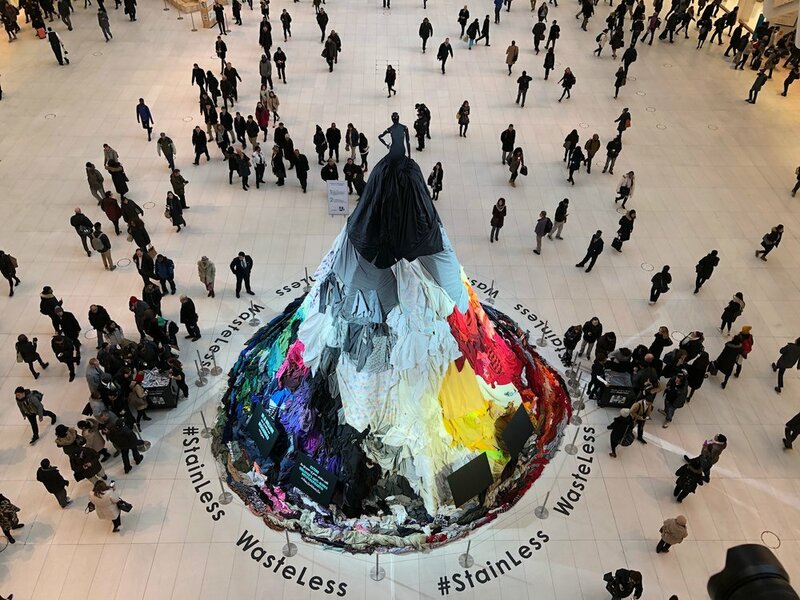 Electric Coffin was commissioned by Unilever and Savers to create a monument that encourages consideration of clothing waste for New Yorkers during fashion week. The 30 ft. tall dress was created in the World Trade Center Oculus in the middle of the night. Combining the reduce reuse messaging with NY Fashion Week, this cathedral-like space served as a larger-than-life runway. The final piece used hundreds of pounds of textiles saved from landfills. Passersby were encouraged, to donate their clothing at the base of the dress, growing the installation throughout the pop-up campaign.